ePublisher 2012.1: Style Designer gets turbo-charged! Now you can more quickly configure all your styles within the Style Designer without having to generate the actual output. 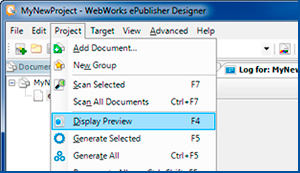 When you select the “Display Preview” menu item in ePublisher Designer, it now opens the Style Designer alongside the Preview tab. The Preview tab will show an approximation of how your content will look after it has been generated with ePublisher. While examining the content in the Preview tab, you can select paragraphs or tables. When selected, the Style Designer will highlight the corresponding style, saving you the hassle of locating the associated style. From there, you can quickly make modifications to style properties. 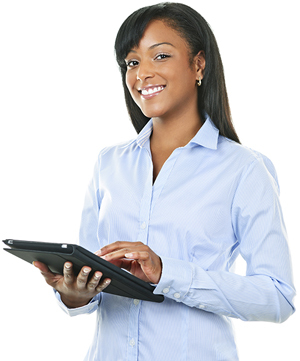 See for yourself how ePublisher Designer quickly configures your paragraph styles with the Display Preview capability. 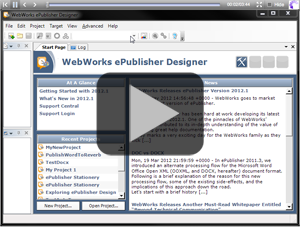 This brief video displays the power and simplicity of ePublisher Designer’s style designer with new preview mode capability. Simply load your project, generate a preview, and begin configuring all your styles. Editable paragraph properties, such as margin settings, borders, backgrounds, fonts, and so much more, are now easily accessible and directly in front of you, allowing you to edit their values in real time, alongside your preview display.